These instructions explain how I prepared the friendship squares and joined them to make the afghans for Eva Dee Parsons. 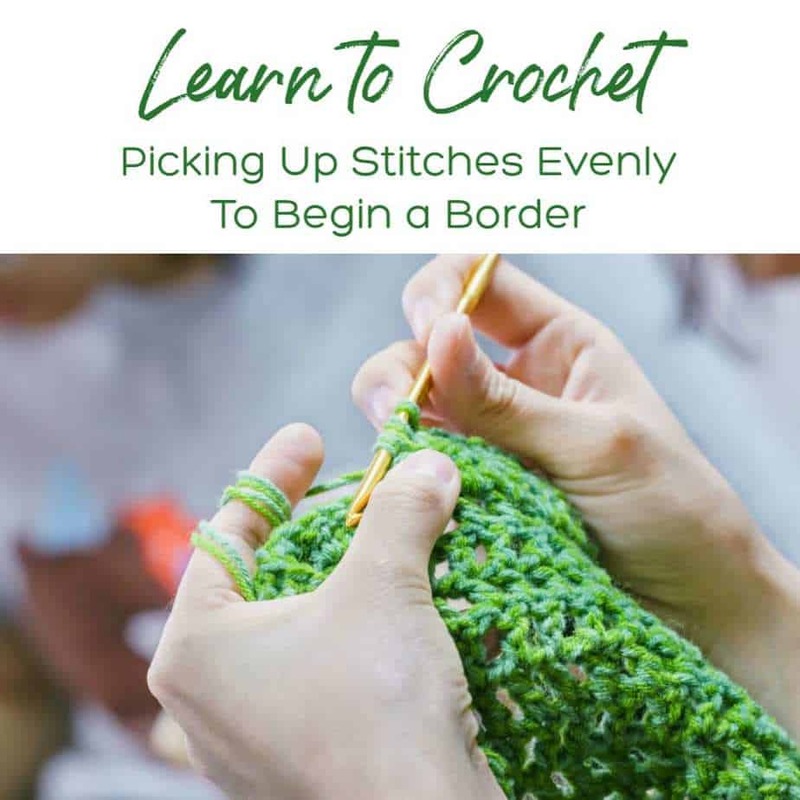 Please keep in mind that this is only one of many ways to prepare and join friendship squares to complete an afghan that will become a treasured heirloom. The border is an especially pretty one and can be used around almost any pattern. 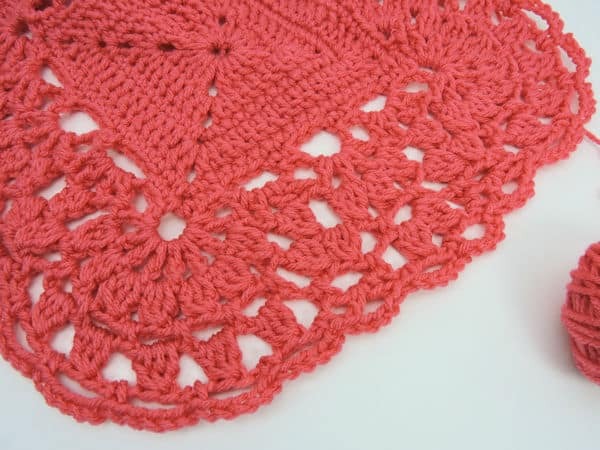 Try it around any sampler pattern (back and forth) to add a beautiful lacy edge. I started with 100 individual crocheted squares. I then separated them by size. Most were six inches. There were a few that were about five inches and a few that were about seven inches. I then chose a primary color. In this case, I used Red Heart Soft White. Since Hook Size H is my favorite, I used it for this project. I made two rows of single crochet around each six inch square, with 3 single crochet at each corner. On five inch squares, I made three rows of single crochet; on seven inch squares, I made one row of single crochet. Once this was completed, I arranged the squares. Since I was using 100 squares, I felt that it would be much too large for one afghan. I made two afghans; one was 7 squares by 10 squares and one was 5 squares by 6 squares. I joined the squares by whipstitching the inner loops together. In the corners, I whipstitched both loops for extra support. 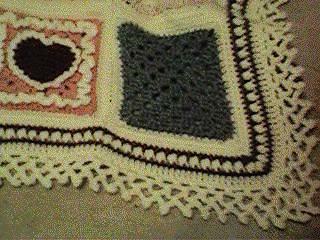 Row 1: Once all squares were joined, I single crocheted with the primary color around the entire afghan. Row 2: For the accent color, I chose Red Heart Country Rose. I made one row of single crochet around with this color. Row 3: Changing to Soft White, work 1 puff stitch, sk 1 stitch, chain 2 and repeat all the way around. 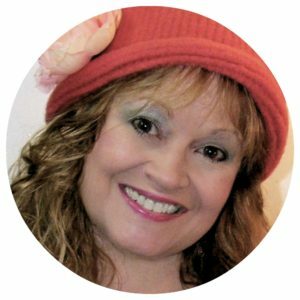 A puff stitch is: YO, insert hook, draw loop through, YO, insert hook, draw loop through, YO, insert hook, draw loop through. YO and draw through all 7 loops on hook. Row 4: With Country Rose, single crochet all the way around. Row 5: With Soft White, 1 single crochet, 3 chains, skip two stitches. This pattern is repeated all the way around. This makes chain-3 loops around the blanket. 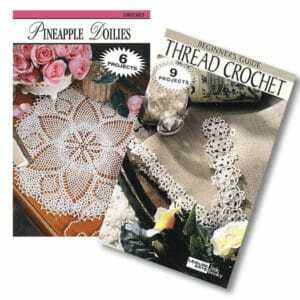 Row 6: With Soft White, slip stitch into the first chain-3 loop and make one chain. 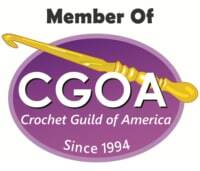 Single crochet in the same chain-3 loop, * chain 5, single crochet in next chain-3 loop. Repeat from * all the way around ending with five chains and slip stitching to the first single crochet. Row 7: With Soft White, slip stitch into the first chain-5 loop and make one chain. 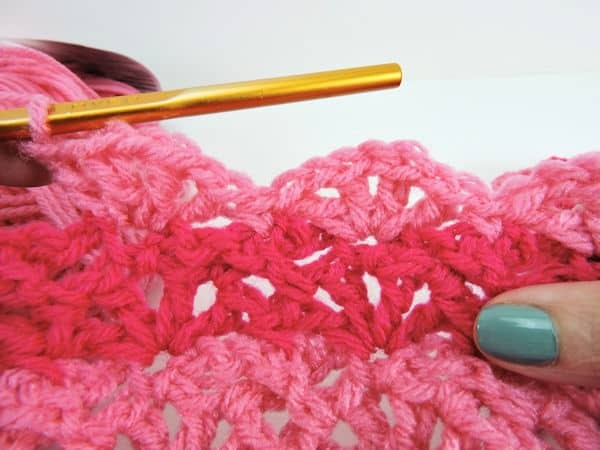 Single crochet in chain-5 loop, * chain 6, slip stitch into fourth chain from hook, chain 2, single crochet into next chain-5 loop. Repeat from * all the way around ending with two chains and slip stitching to the first single crochet.